Ghana operations. Photo by David Tejada, Newmont. Ghanaian media are reporting that people that work for Newmont Ghana’s subcontractor at the Ahafo gold mine have downed their tools while protesting in demand for additional compensation and benefits. According to the local press, a police constable from the Brong-Ahafo Regional Police Operational Unit was injured in the eye while responding to one of the workers’ rallies earlier this week. “Our thoughts are with the policeman who was injured in the line of duty. 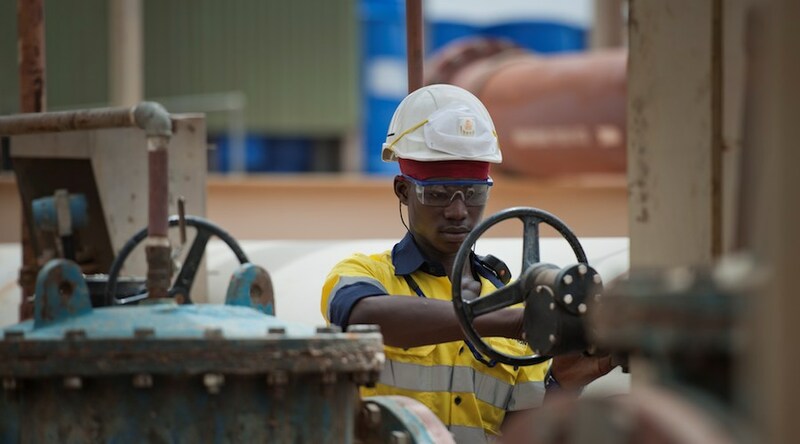 We are committed to ensuring fair and sustainable compensation for our contractors and have provided them with equitable remuneration guidelines,” Yaw Okyere Ntrama, Acting General Manager for the Ahafo mine, said in a media statement. Ntrama added that Newmont Africa cannot directly negotiate wages and other benefits with a subcontractor’s personnel. "They have the responsibility to negotiate directly with their employees," he wrote in the brief. Nevertheless, the company official encouraged both parties to restart a dialogue in order to reach a satisfactory agreement. Ghana Web states that tensions, however, are rising in the area and therefore police presence has increased, particularly with the idea of protecting the nearby communities of Kenyasi and Ntotroso. The Ahafo mine is located in what is known as the Brong Ahafo region, approximately 307 kilometers northwest of Accra.